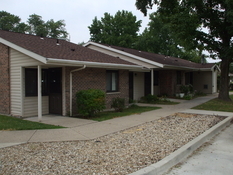 Sunshine Village in Olney 30-1 BR apts – Rent is approximately 30% of monthly income or the maximum rent is $403. This includes all appliances and all utilities except phone and cable tv. Sunshine Village cable rate is $30 per month and is paid with the rent. Pets are allowed with a $250 one time deposit. 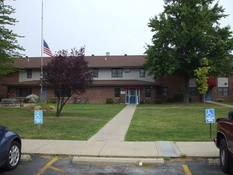 54-1 BR and 12-2BR apts – Rent is approximately 30% of monthly income or the maximum rent is $553 for 1BR or $648 for 2BR. This includes all appliances and all utilities except phone and cable tv. EFA cable rate is $25 per month and is paid with the rent. Pets are allowed with a $250 one time deposit. Deposit may be made in 3 payments. 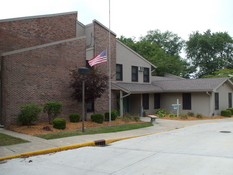 15-1 BR apts – Rent is approximately 30% of monthly income or the maximum rent is $403. This includes all appliances and all utilities except phone and cable tv. Cardinal Mound cable rate is $35 per month and is paid with the rent. Pets are allowed with a $250 one time deposit. All units are heated with gas and the H/A pays the gas bill. Each home also has central air conditioning, refrigerator, range and washer/dryer hookups. $200 security deposit and $250 pet deposit. 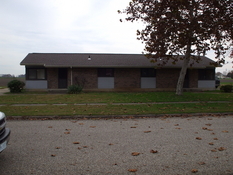 2 BR duplexes – Rent is approximately 30% of monthly income or the maximum rent is $491. Utilities included are gas, water, and garbage. Tenant is responsible for electric. 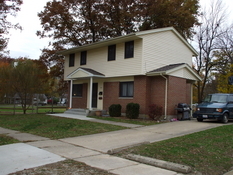 3 BR single family homes - Rent is approximately 30% of monthly income or the maximum rent is $603 in Olney and $592 in Noble.. Utilities included are gas and garbage. Tenant is responsible for electric and water. These are brick homes with full basements. 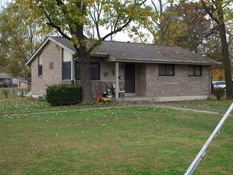 4 BR single family homes - Rent is approximately 30% of monthly income or the maximum rent is $705. Utilities included are gas and garbage. Tenant is responsible for electric and water. They are two story brick homes with full basements.